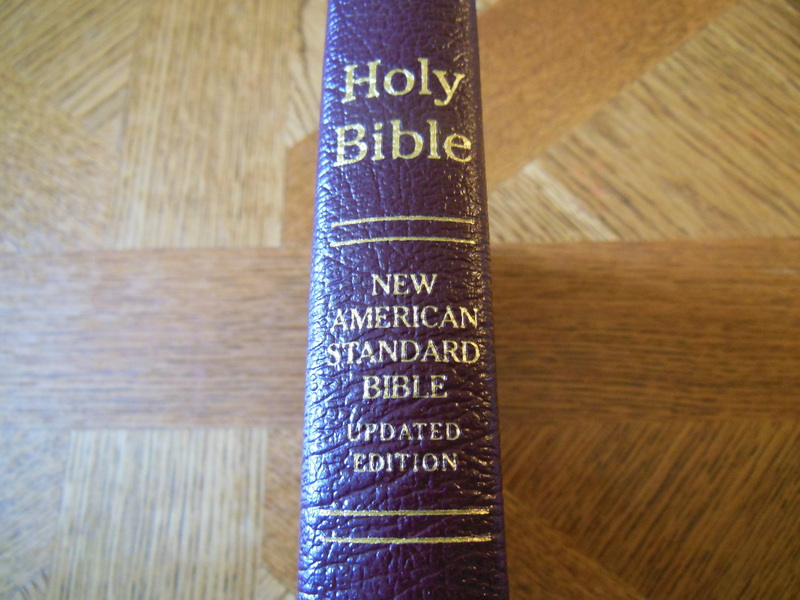 The Lockman Foundation has been producing some affordable and well made NASB (New American Standard Bible) Bibles for quite some time now. 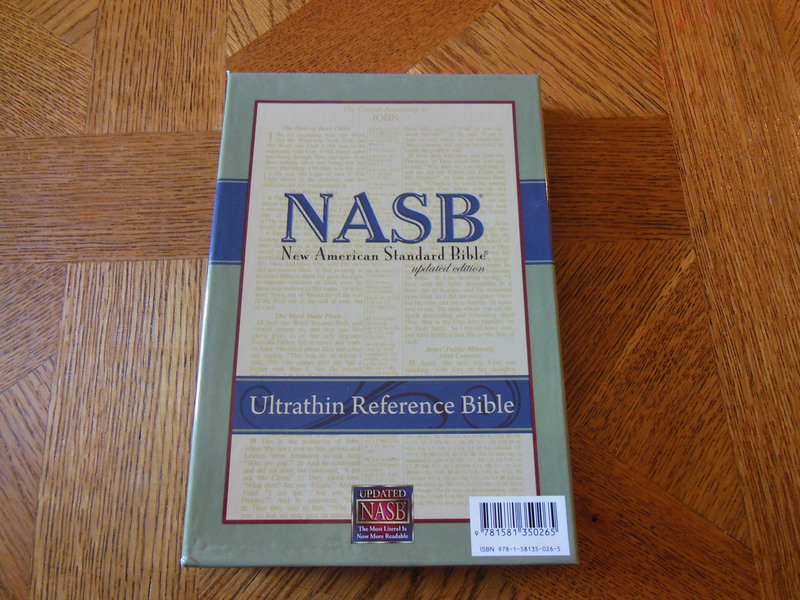 The NASB has become known for its excellence in staying true to the original languages. 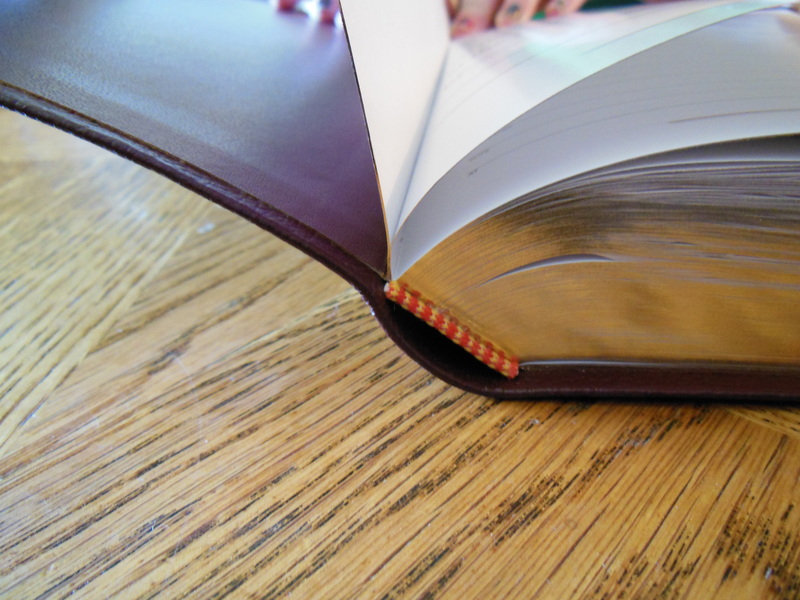 The NASB Ultrathin Reference Bible is no exception. 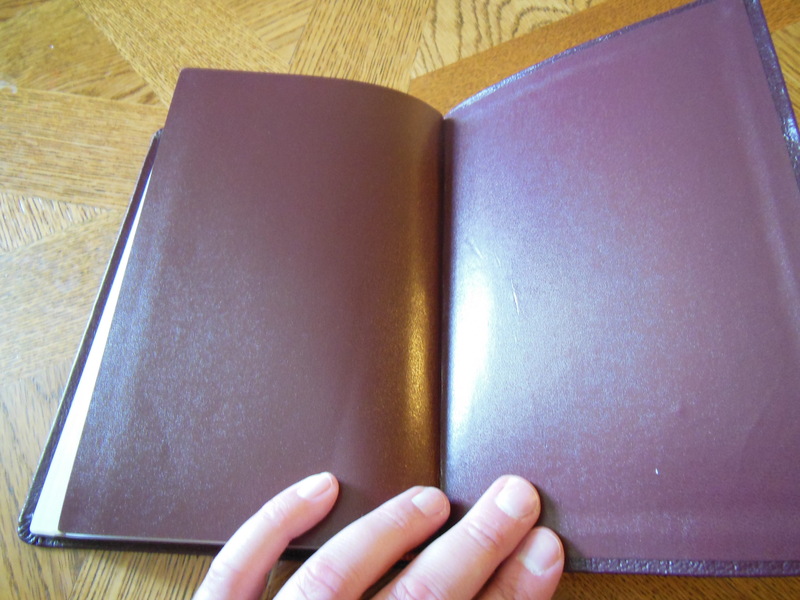 It is bound in genuine leather and is smyth-sewn. 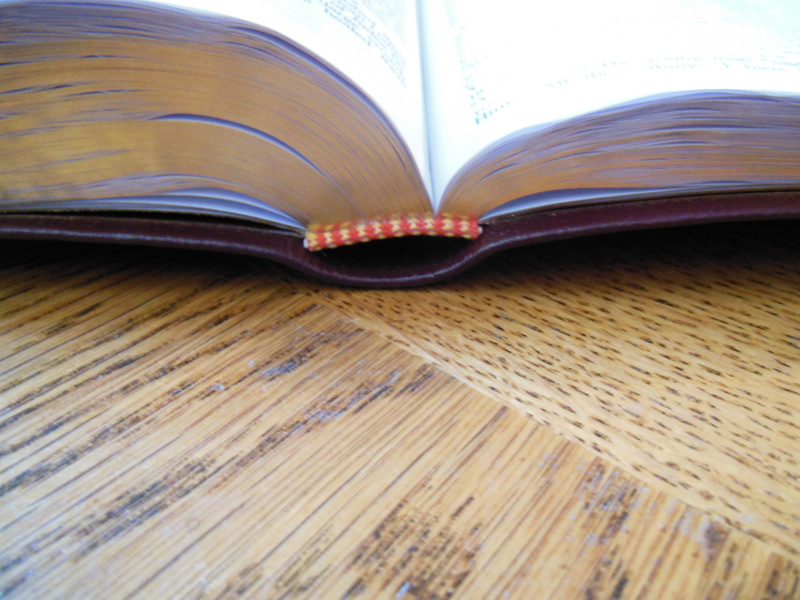 A sewn binding makes the Bible more durable and helps it to lay flat as opposed to a glued binding. Pages are folded into groups of pages and stacked, then sewn together. In a glued binding the pages are just cut and glued in the spine. 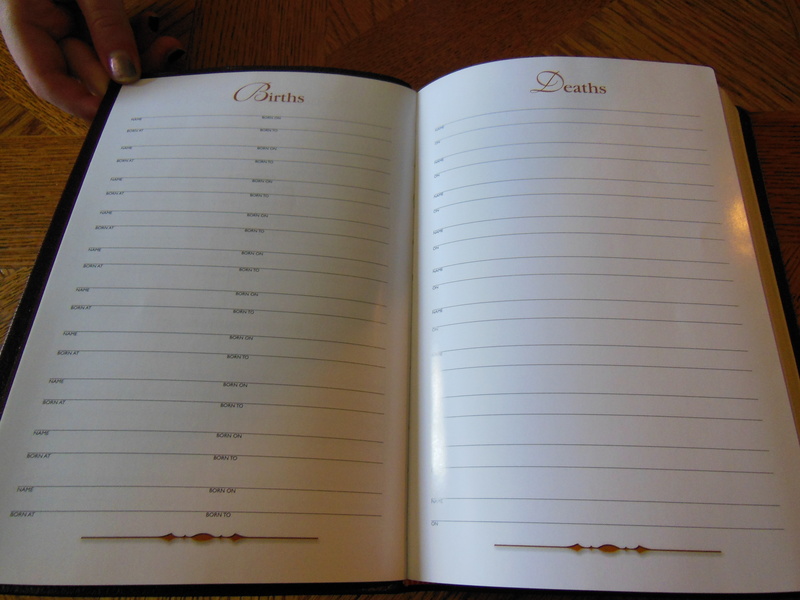 These types are always loosing pages. 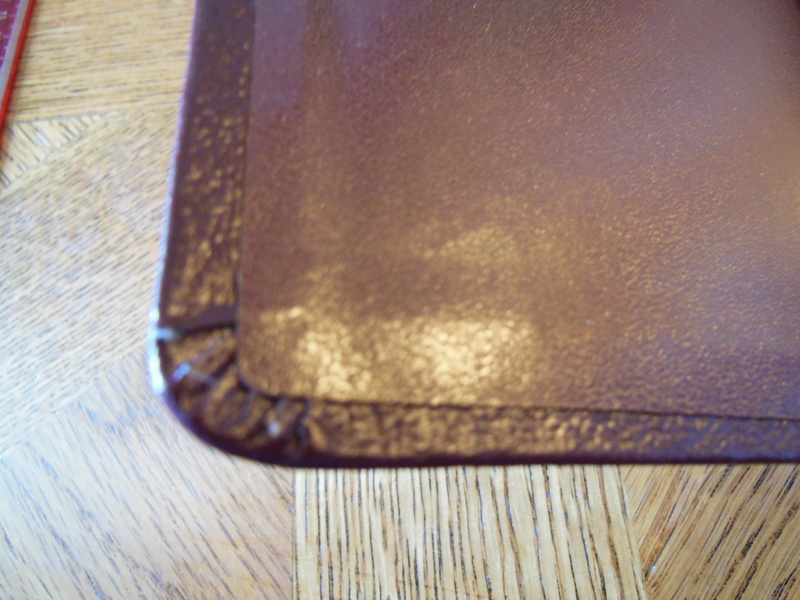 Sewn bindings are far less apt to fall apart that way. 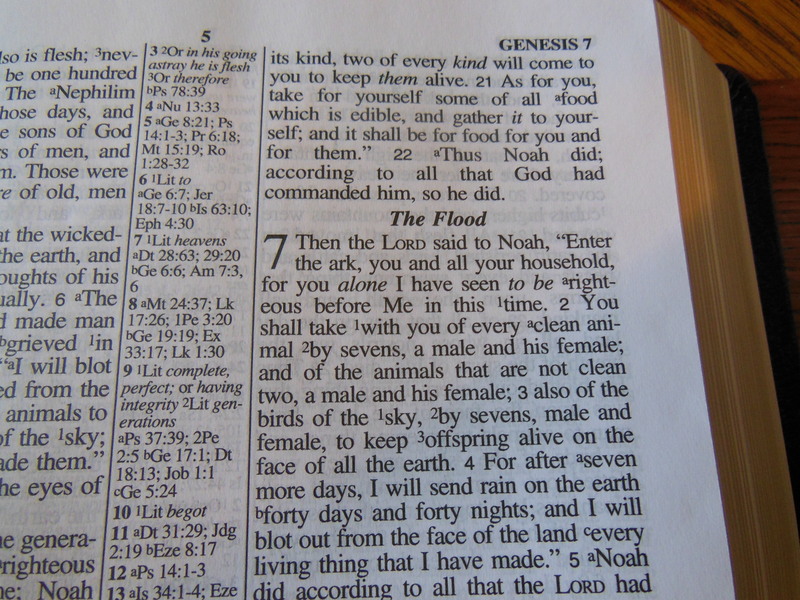 The Bible has center column references and is a two column format in approximately an 8 point font. 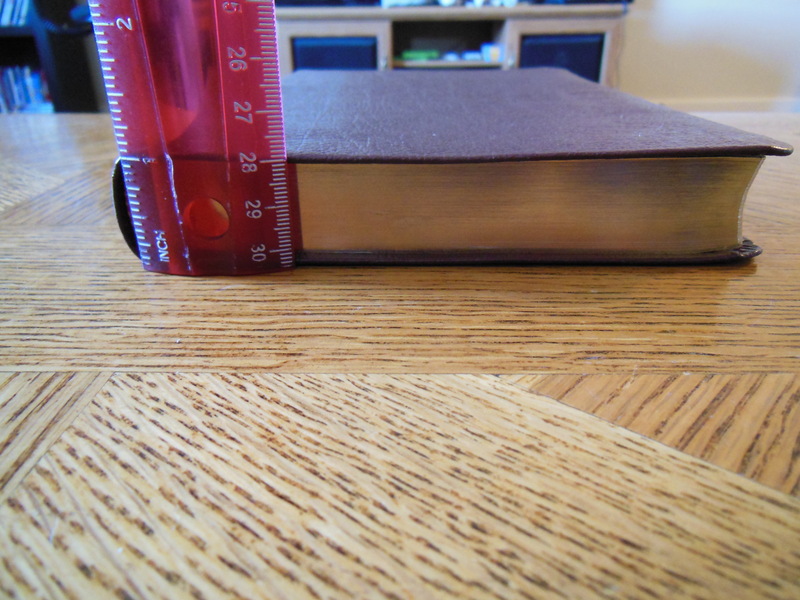 This Bible is almost 9 inches long, 6 inches wide, by almost and inch thick. It is a light bible to carry. 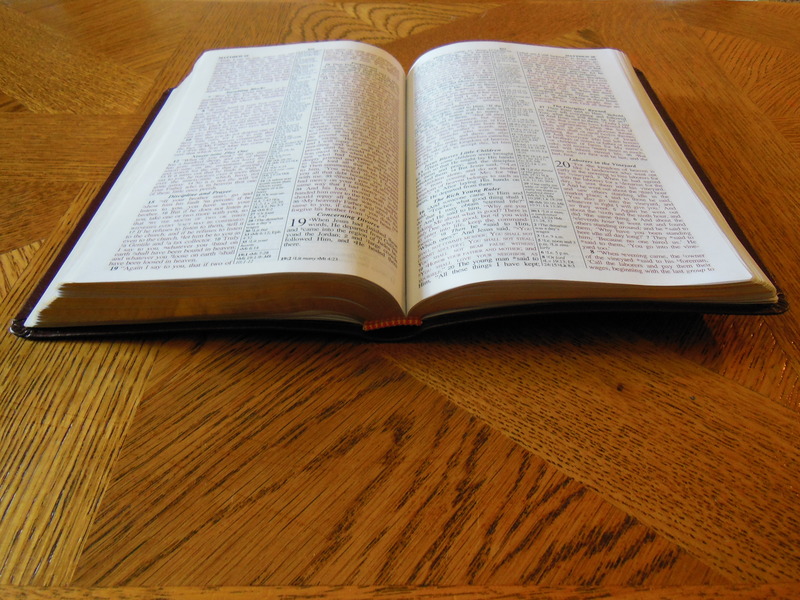 This Bible is light to carry and the pages are pretty thin because it is an Ultrathin. Here is a shot of one page held up to the light. The page thickness is sufficient and doesn’t lend itself to as much show-through as is prevalent in similarly priced ultrathins. There is ghosting. 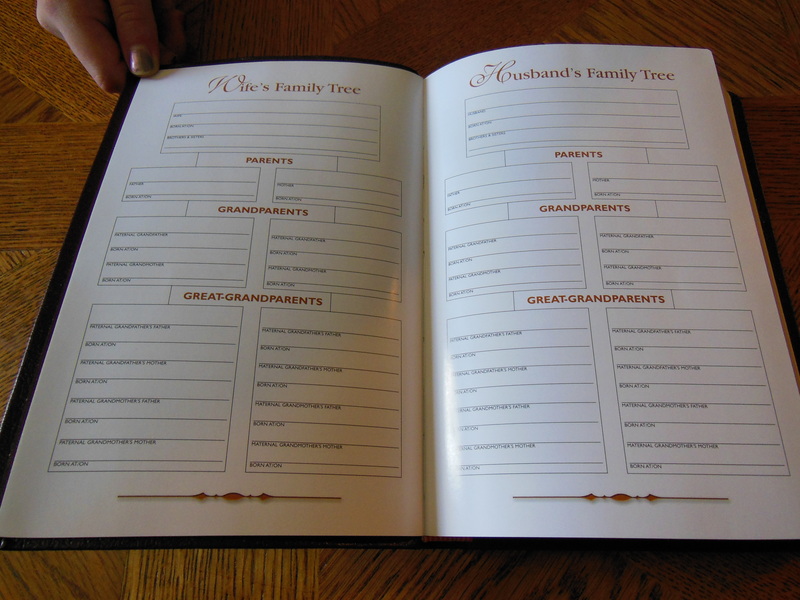 The font is clearly printed and easy to read. There is some room in the margins for limited note taking. 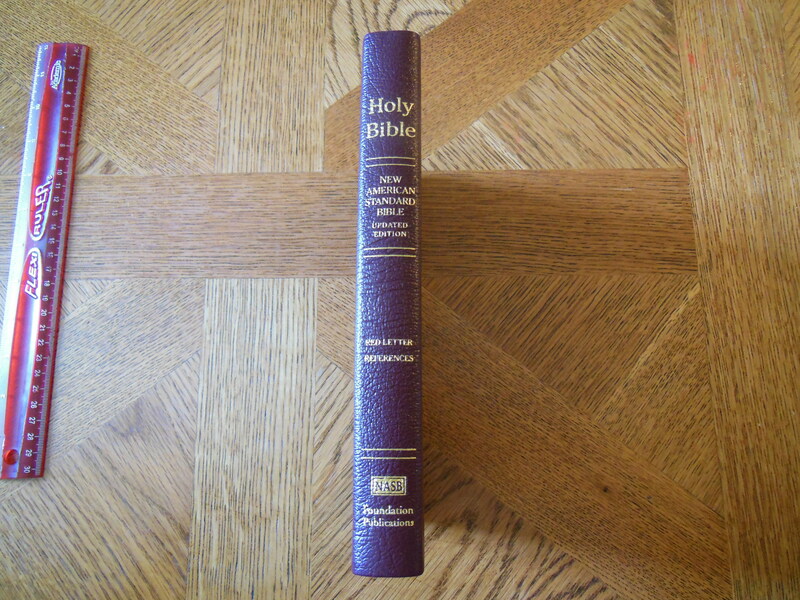 This Bible is crammed full of quality and features for the price making it a very good value for the price of around $25.00 depending on where you pick one up. 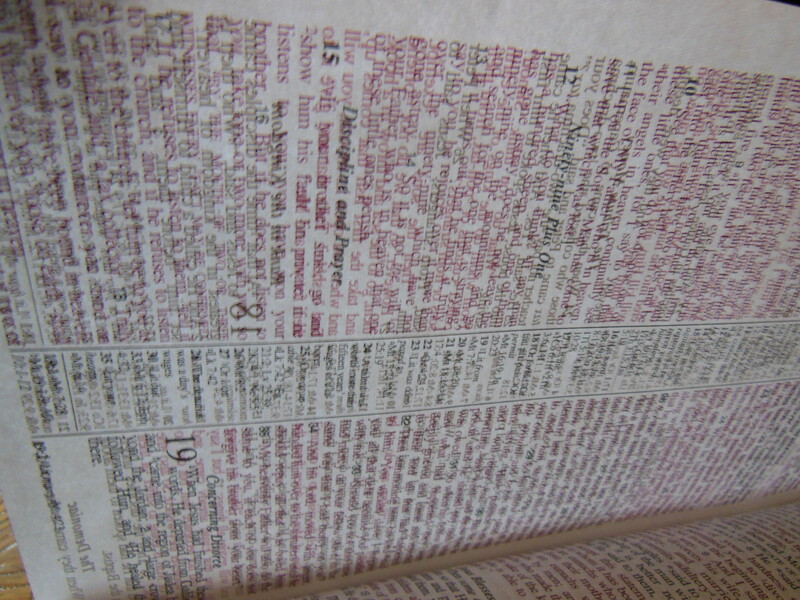 This Bible is a red-letter edition. 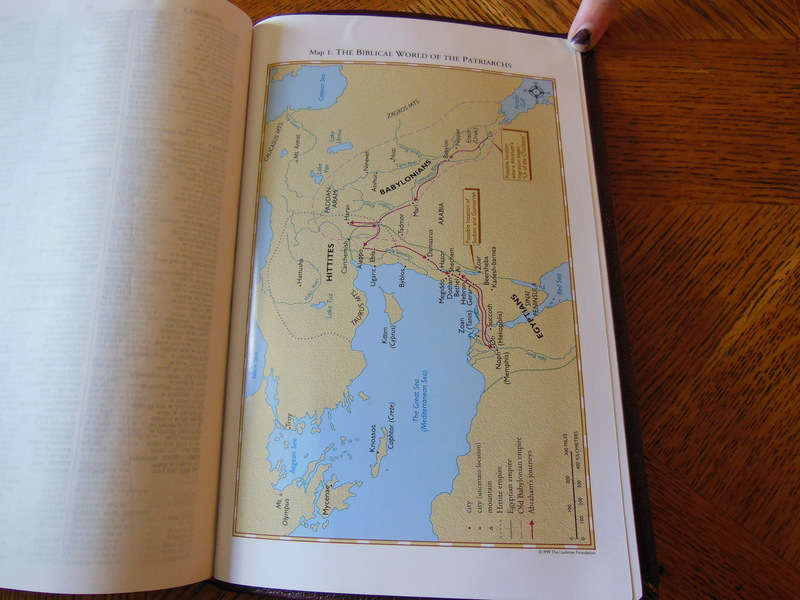 I mentioned that this Bible is a smyth-sewn binding and you can tell from this picture that right out of the box it lies flat on the table. 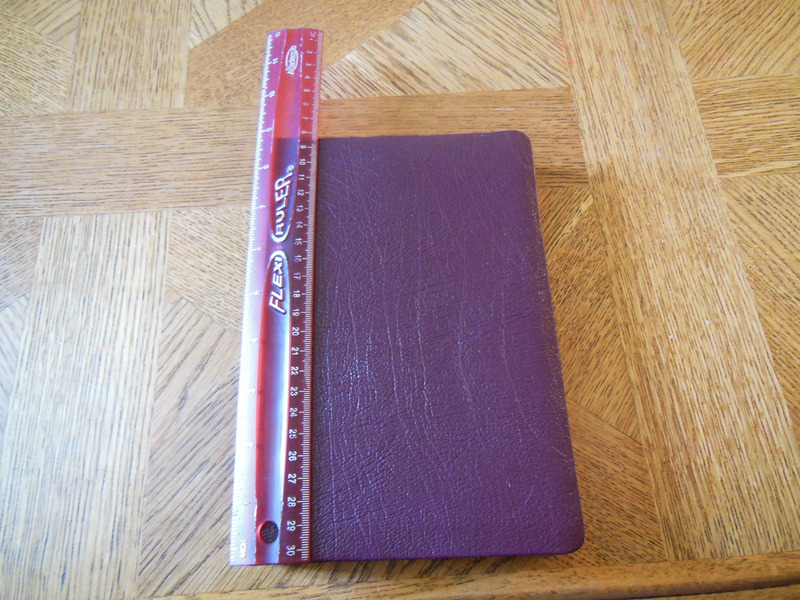 This is a case bound book. 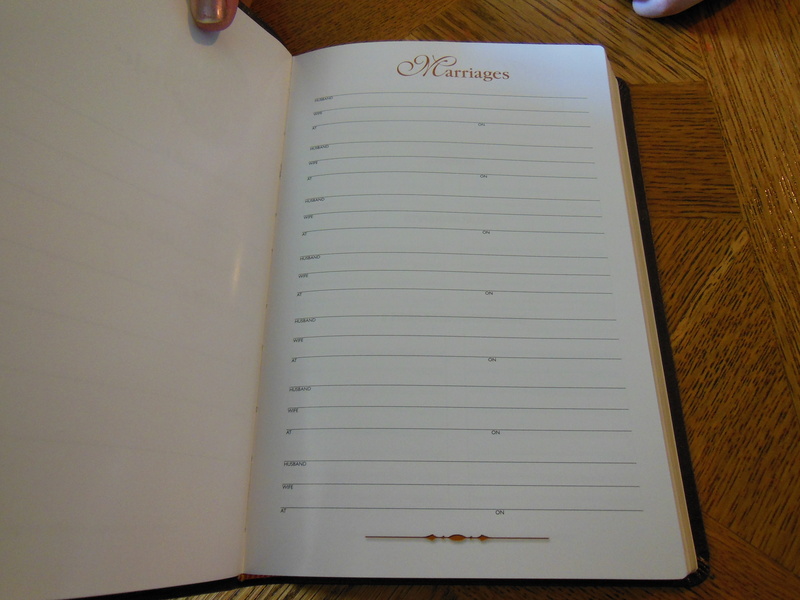 The covers are lined with vinyl paper. You can see where the corners are glued here. 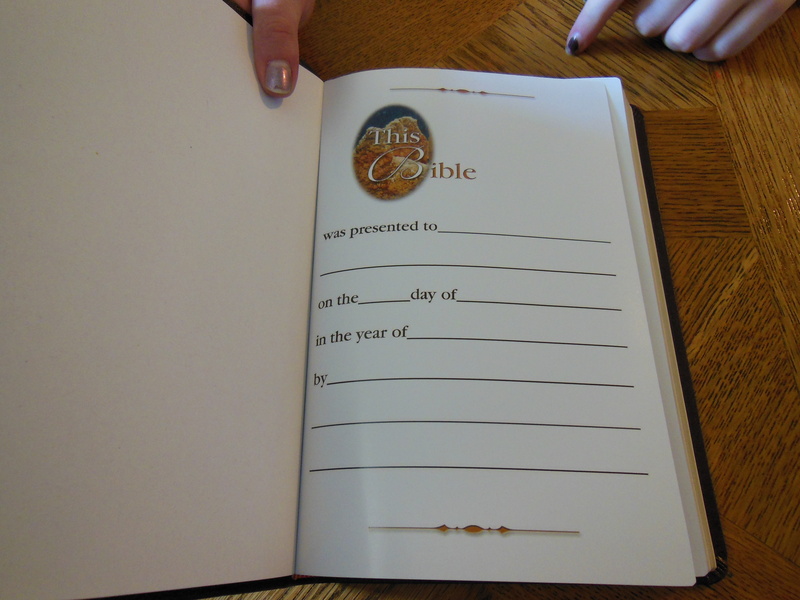 The pages are edge gilt and the spine is hot stamped with gold colored foil as well. 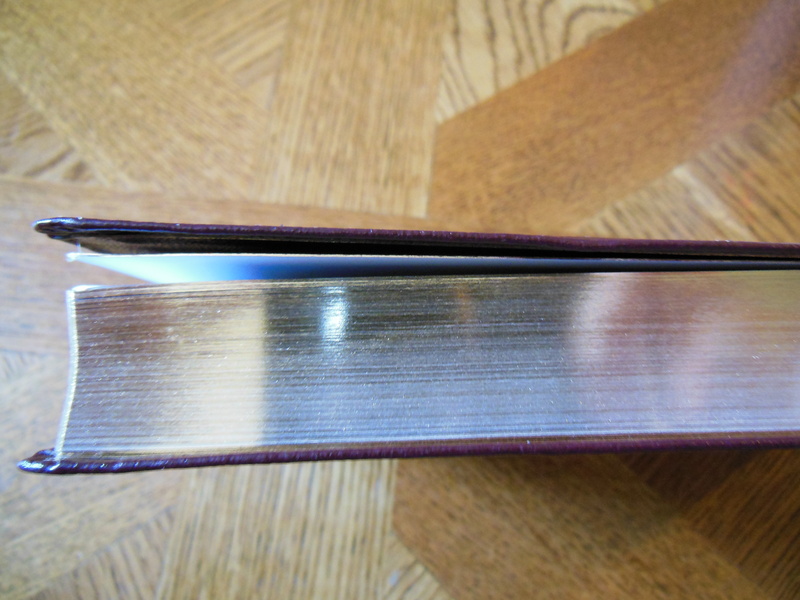 One thing I noticed and liked about the construction is where the first and last pages are glued into the lining to stop the Bible from falling apart as easily. There are also decorative head and foot bands. The Bible came in a hard cardboard box. 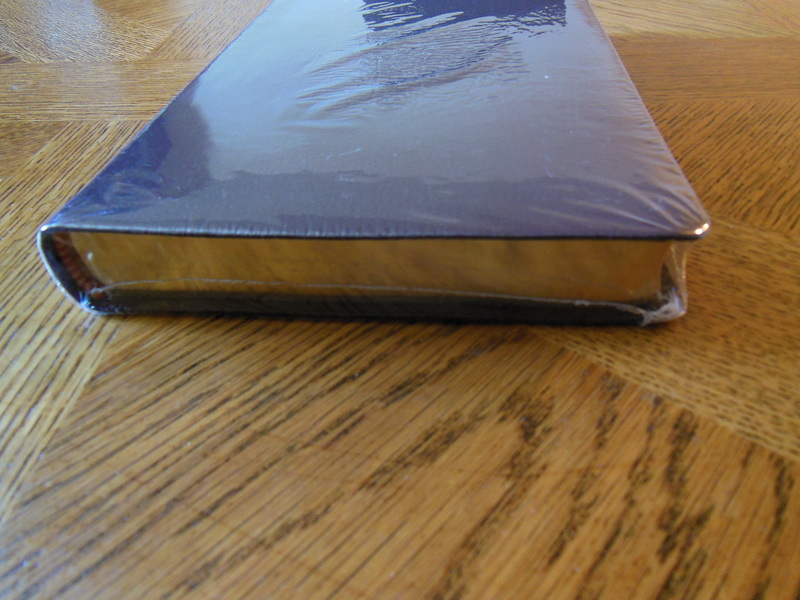 The Bible was wrapped in clear plastic. 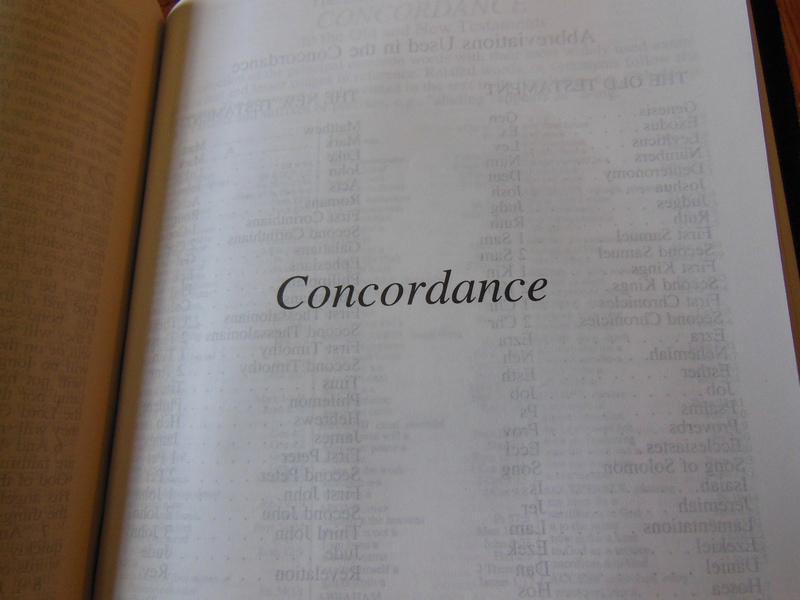 This Bible also comes with a quite useful concordance which is a surprise for a Bible this thin. 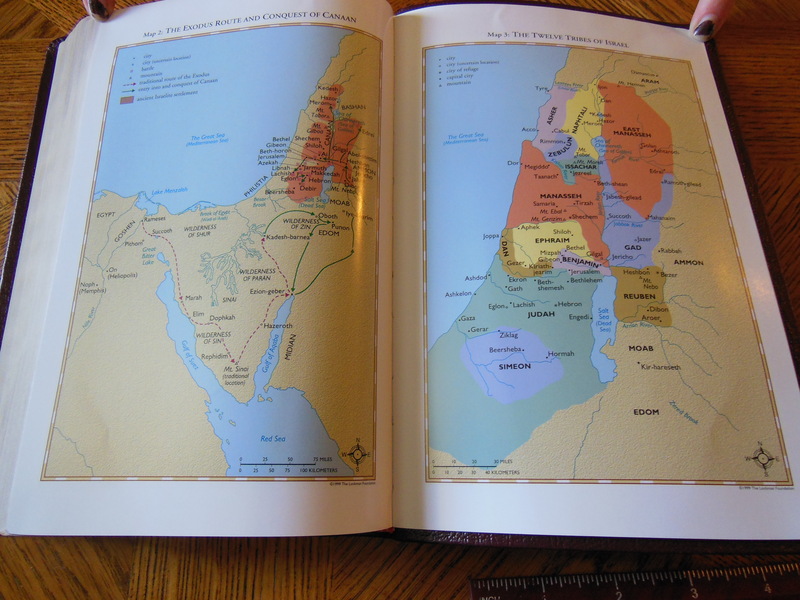 As well as a concordance there are 8 color maps. There is also on ribbon marker to keep your place. I hope all of the pictures were helpful. 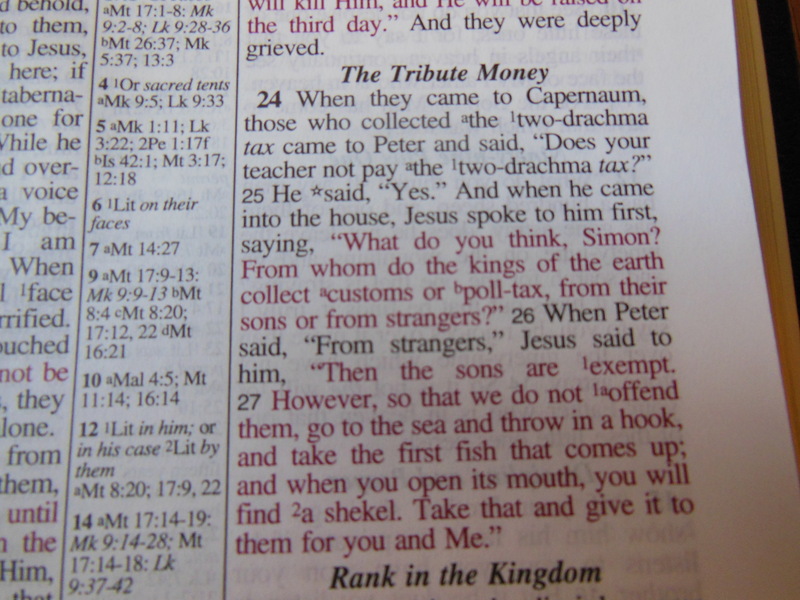 Lockman did a good job of making a “users” Bible. This thing is a good value and can take all the punishment of being dragged along where ever you happen to go… within reason, I mean come on, it isn’t water-proof or fire-proof. 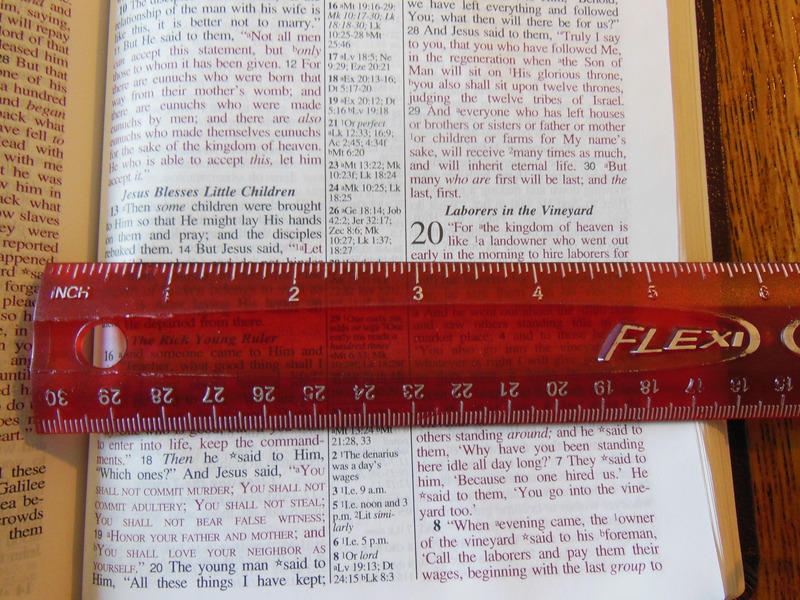 If you are in the market for an ultrathin and you don’t want to spend big bucks for a premium Bible this is the way to go. 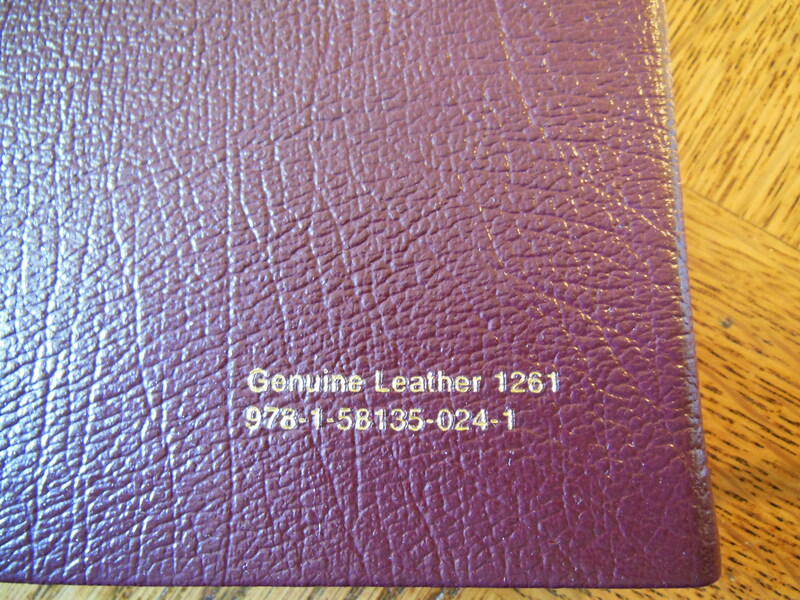 Again it is genuine leather, and has a sewn binding all for about $25.00! Come on people, that is pretty good. Disclaimer, I received this Bible free from the publisher for review purposes and am in no way obligated to give a good review.